We are now two games into a Six Nations campaign which many in the media are slating as being underwhelming and uneasy on the eye, and they aren’t wrong. Ireland’s performances so far have been about winning, whatever the means. That being said, back to back wins over the French is something which bodes well heading in to the World Cup. 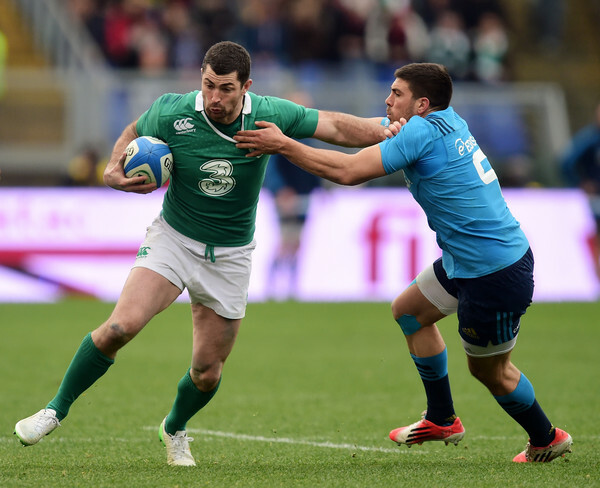 Italy appear to have taken a backwards step or eight since they defeated both Ireland and France in their most successful Six Nations to date. Those results would have seen them top a hypothetical World Cup group at the time, but their shortcomings at out-half are still plaguing their progress. They have once again turned to nomad imports to try and solve the conundrum, with no obvious answers coming from their youth system. Keeping to form, they shouldn’t play a role in the outcome of Pool D, with France -v- Ireland in the Millenium Stadium on Sunday, 11th October at 16:45. Back to the Irish though, and that pesky issue of who we believe merits a place on the plane to the Rugby World Cup 2015. Through the opening 2 games of the Six Nations, we have gained an insight into who Joe appears to be favouring, and with chances to impress running out, game-time is vital. Therefore, those players who have been unlucky to be injured are naturally going to fall down the pecking order, even more so with Joe’s ‘next man up’ philosophy. This ‘plug and play’ mentality of inserting the next-best available player should a starter succumb to injury has worked pretty successfully since November 2013. The system remains the same, and therefore all the players know their roles and have prepared subsequently. It might lead to some dull viewing and what the purists refer to as ‘dull rugby’, but who cares so long as we’re winning, right? Jack McGrath’s ascension in the rugby world has been monstrous. 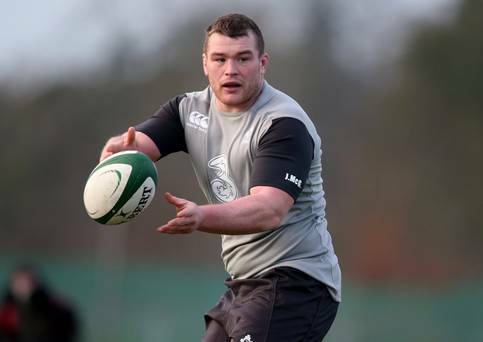 Cian Healy’s absences are no longer seen as the end of the world for the Irish pack. Jack McGrath has ably deputised so far, but Cian Healy will surely be in from the start against England. The only thing which has really surprised The Ankle Tap has been Mike Ross retaining his place ahead of Marty Moore, despite being dropped unceremoniously by Matt O’Connor after a horror-show in Leinster’s game away to Harlequins. Besides that, the same five from January would still be on the plane, with Cronin definitely now the third choice loosehead in the squad. His position on the bench against Italy reinforced that point. Kilcoyne could make a late push in this season, but like a few fellow Munster players on the fringes, the lack of European action will definitely hurt his chances. Furlong is most definitely a long shot at this point, with White in the squad ahead of him. The same for Stephen Archer, who has not stepped up to the next level when he has been given his chances. This position group, barring injury, appears to be nigh-on set in stone. Kilcoyne is the only one who might squeeze his way in ahead of Cronin, but we doubt it. We wish Damien Varley all the best for the future, following his early retirement through injury. The Munster cause will suffer greatly in his absence, both in terms of his play around the pitch and the unheralded leadership he has brought to the table in his time with the squad. There is no debate to be had here on who goes and who doesn’t, just a note on the unfortunate early retirement of Damien Varley due to injury. Munster have been desperately unlucky these past few years with injuries at this position, and Varley is another key Munster leader whose career has been cruelly cut short. Best, Cronin and Strauss to travel. Straightforward. No debate or discussion necessary. This surely won’t change between now and September, the three we have named are clearly the top three hookers in the country. The Leinster team are going to suffer greatly come the World Cup, probably losing 4 props and 2 hookers to the Ireland cause, but that is part and parcel of being the strongest province in Ireland. Paul O’Connell will be crucial to Ireland’s World Cup hopes. The Ankle Tap is dreaming of a World Cup win with Paulie to head off into the sunset, William Webb Ellis in hand. The only real thing of note which occurred at this position since our January article is that the dynamic, abrasive Iain Henderson has all but cemented his place in the match-day 23, and even has some calling for him to start at 6 against England. This goes against Joe’s ‘next man up’ philosophy though, so it appears highly unlikely he’ll entertain thoughts of a positional switch. The time out of the game and the added bulk have made an impact on young Hendo, and he appears to be the perfect replacement for Paulie, come the Great Man’s inevitable retirement. 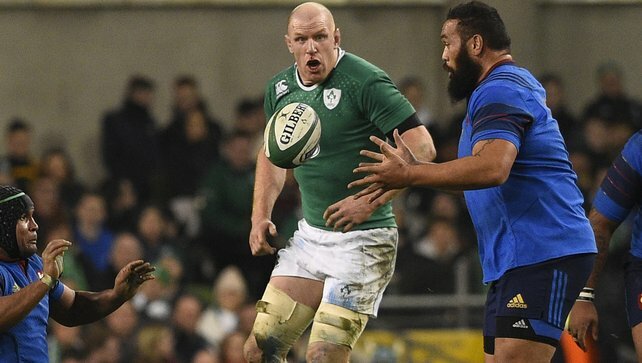 Uncertainty will remain for the time being as to whom will travel as the fourth lock, but as Donnacha Ryan and Dan Tuohy still aren’t fit, we are going for Mike McCarthy. Dave Foley is out for the season with the wrist injury he picked up in the Champions Cup game against Sale in January, but The Ankle Tap reckons he will be given a chance by Schmidt to impress, come the Autumn warm-up games. For now though, he is certainly on the outside looking in. Jamie Heaslip’s Six Nations appears to be over following the knee to the back he sustained against France. That really opens the door for Jordi Murphy to prove that he should be one of the players travelling to the World Cup. He faces a mammoth task, literally, going up against Billy Vunipola this weekend, but should he perform well then he really puts himself in the driving seat for a spot on the plane. 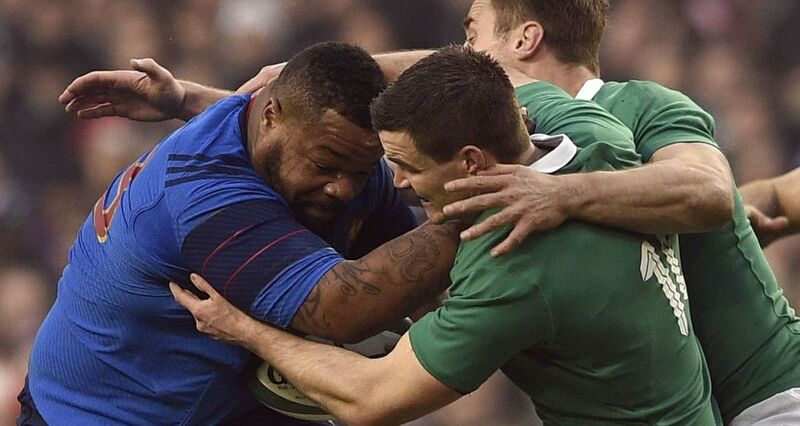 O’Brien made a great comeback from injury in the defeat of the French. The clip below from RBS Six Nations clearly demonstrates exactly what he adds to the Irish team, turning a possibly disastrous situation on its head with one of the best rucking clear-outs The Ankle Tap has ever seen. O’Mahony is also a definite, with his abrasive style constantly lifting the players around him when their backs are to the wall. That leaves one spot, with The Ankle Tap reckoning O’Donnell, Ruddock and Henry are those putting their hands up for selection, based on previous squad selection. Ruddock to squeeze it, as we liked what we saw in the Autumn. Diack is down the pecking order, and his cause hasn’t been helped by Ulster’s poor run in Europe, while Jack Conan and Dominic Ryan could force their way in yet if they keep performing at the high level they have been performing at so far this year. For now though, they are on the outside looking in, and will be hoping for an injury or two. We however, hope this doesn’t manifest itself and that we arrive at the World Cup with our first-choice back row. Copeland is out for the season, and we can say with certainty that he won’t be travelling, the same goes for the luckless Kevin McLaughlin. Roger Wilson was called up to the squad in the absence of Jamie Heaslip however, so he now has to enter the debate, although we still don’t expect him to travel barring a catastrophe of ginormous proportions. 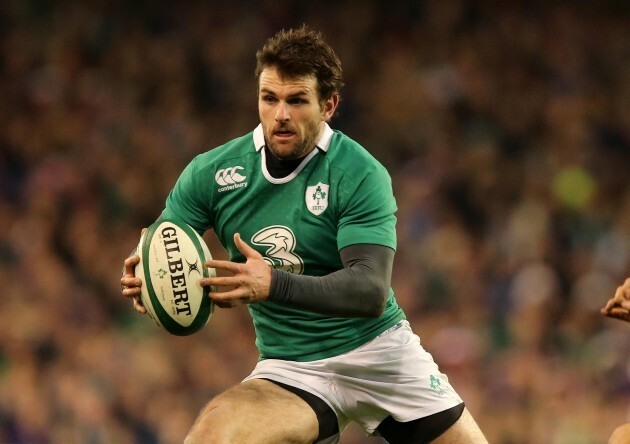 The box-kicking, uber-physical Murray is an integral part of the Joe Schmidt masterplan. Look for him to be right up there mixing it with Aaron Smith and Ruan Pienaar on the biggest stage of them all. What a change a few weeks makes. Marmion’s poor showing in Musgrave Park against the Saxons has led to Isaac Boss supplanting him in the match-day 23 while Reddan has been injured. Time is still on Marmion’s side, but he cannot afford another slip-up. Murray, Reddan and Boss would travel if the World Cup was next week. It is a 3 horse race for spots 2 and 3, behind Murray. McGrath’s chance will come, but not for this World Cup. He is a bright young player and the possibility of him learning from Peter Stringer next season would definitely further his development. That being said, Connacht must surely be looking towards Stringer themselves, as Marmion, although undoubtedly talented, could use a veteran presence to guide him. There is legitimate concern from The Ankle Tap at Sexton’s approach to tackling beasts like Basteraud. His health is key to Ireland’s hopes, so lets pray he starts to keep his head out of the way when the big men come running down his channel. Sexton and Madigan. The squad selection for when Sexton is fit points to no other alternatives. Madigan’s versatility will see him on the plane, barring a severe dip in form. Keatley will feel hard done by, especially after not doing much wrong against the Italians, and rightly so, but Madigan just offers that little bit more off the bench. Keatley is a poor man’s Sexton, and will miss out as a result. He just doesn’t inject the same energy that Madigan does, but that isn’t his game. That infectious difference is why Keatley will be at home and Madigan will be in England and Wales. Paddy Jackson is further back again, and injury has hurt his stock significantly, as have his shortcomings off the tee. Carty and Hanrahan were never truly in with a shout, and may as well be omitted from this list at this rate. 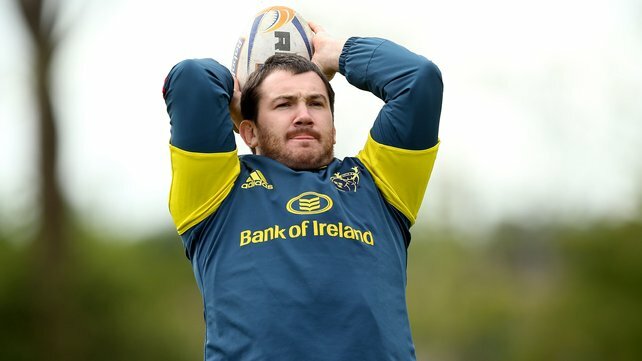 Sexton simply has to stay fit, and his return home just before the World Cup is a godsend to the Irish Management and fans, as they will be able to manage the entire squad from within without interruption as a result. Although going about his business quietly, Payne still has some way to go to turn in to the finished article. His defensive work has been solid if unspectacular so far. Look for him to be truly tested on Sunday against the form outside centre in the Six Nations, the fleet of foot Jonathan Joseph. Things have suddenly got very interesting at the centre positions. Henshaw and Payne have stepped in to the figuratively large boots of the D’Arcy – O’Driscoll axis which was the nailed-on partnership for much of the last 10 years. D’Arcy is still playing, but to say his season has been a disappointment is an understatement. Poor form with Leinster has seen him dropped by Schmidt, in favour of the physically bigger Henshaw. Payne has been solid, but not great at 13. He still gets caught in two minds and his instincts from his days as a fullback still show up when push comes to shove, such as the line he ran against France when Ireland butchered their only real chance of the match. It didn’t cost them, but at test match level they can’t afford to put those chances down. There is still too many injuries for this position to become a true dogfight behind Henshaw and Payne though, so D’Arcy should still travel. That brings us to the final spot. Keith Earls showed well against the Saxons at 13, he was one of the few to come out of the game on a positive note. The Ankle Tap is surprised that Fitzgerald was slated to start on the wing and that Earls was given the 13 shirt, but that is clearly the way Joe sees them. Earls does leave a bit to be desired in defence, but he certainly has a touch of class when the ball is in his hands. Cave wasn’t given a look, and we feel he won’t get one at this point. There is simply too much class ahead of him, the same goes for Noel Reid. Look for Marshall and Olding to make D’Arcy’s position less secure when they both return from their respective injuries. Earls to travel as a centre, with Fitzgerald being moved to the outside backs debate. It is a shame we won’t get to see Rob Kearney going up against Mike Brown in the air, competing to claim the ball, as the way they both soar is a sight to behold. Ireland’s kicking gameplan suits him down to the ground, as he usually rules the air. His positional awareness is second-to-none, and he has the ability to land the odd long drop goal too, with his booming left boot. This is where things get extremely spicy. Rob Kearney is assured of a spot, so too Tommy Bowe. Simon Zebo appears to have beaten his defensive demons and looks increasingly comfortable going back, something which was hampering his progress earlier in his career. The flair and game-changing ability he brings adds a different dimension to the Irish backline. He has done nothing but improve his stock since the Autumn Internationals, and has seized his chance by the scruff of the neck. Andrew Trimble is a Joe Schmidt favourite, and last year’s IRUPA Player of the Year will travel if he can overcome the cumbersome toe injury which has ruled him out for the rest of the season. Felix Jones is the dark horse to watch out for, as he has been a part of both of the match day 23s in the Six Nations so far. McFadden was initially ruled out of the opening two games after suffering an injury in the Saxons game, but he has failed to make the extended squad for the England game. Fitzgerald and Dave Kearney both have, however. The Ankle Tap would like to see Luke on the bench ahead of Jones, as not only does he cover more positions, but he is also undoubtedly the more naturally gifted player. He is one of the few Irishmen who can turn a game on its head with a moment of magic, he has just been the most unlucky man in Ireland with injuries. The squad is starting to take shape, and The Ankle Tap reckons that in an ideal world, 21 places are set in stone. Injuries will play their part in the final shakeup, but for now we will keep our fingers and toes crossed that Ireland make it to the World Cup with a clean bill of health. With 21 places set in stone, according to us, that leaves only 10 places to fill. Versatility will play its part, but so too will form. Joe Schmidt has never picked a team based on past successes, and if he feels a player isn’t performing then he will put someone else in. The game against England will be a true barometer of where we stand, as both teams enter the game with unblemished records. A win on Sunday will send expectations through the roof, but don’t underestimate the challenge Ireland face. England, although they are missing Mike Brown, are stronger with George Ford at 10. Although they love the physicality, they also have a dangerous backline that looks threatening whenever they find space. It should all make for a cracking spectacle in the Aviva on Sunday, and we simply cannot wait to re-engage in hostilities with the old enemy. Let the battle commence. A rugby blog for egg-shaped folk. The aim of this blog is to deliver in-depth analysis and commentary on Irish Rugby, and on World Rugby as a whole. The name of the blog stems from the iconic Stringer tap tackle on Jason Robinson on 6th March 2004 in Twickenham, one of our first, and certainly one of our most vivid rugby memories. Our heroes include the aforementioned Strings, ROG and the Welsh sidestepping Wing Wizard Shane Williams. I saw your blog and really enjoyed it. I have a unique sports website, fanthem.com that is dedicated to bringing citizen sports journalists to the forefront by highlighting great writers like yourself. You can create new content or re-post your blog content on fanthem.com and increase your blogs exposure while also getting more interaction from readers. Let me know if you are interested at fanthemsports@gmail.com. Many thanks for your interest. I appreciate the praise!